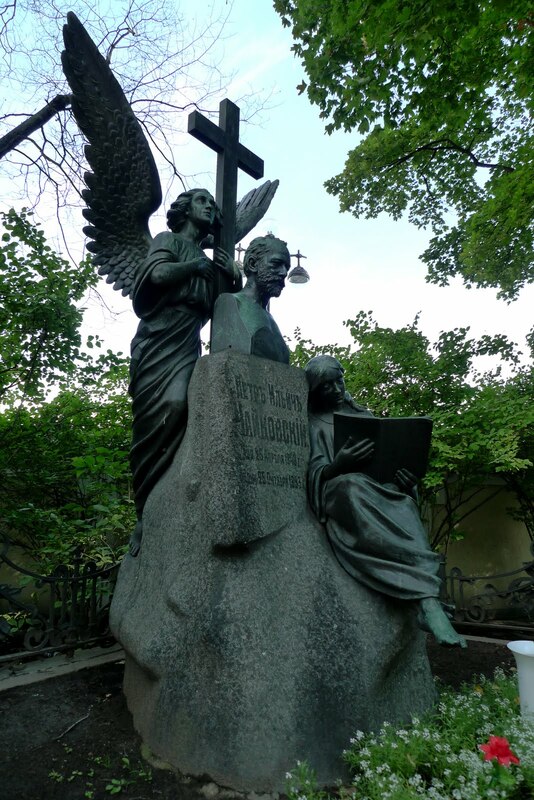 - Alexander Nevsky Cemetery: the cemetery is comprised of two parts, one side holds famous artists and the other side, I believe, holds average citizens. We only got to the famous people side, and got to see Dostoevsky, Tchaikovsky, Stradivarius, and other luminaries. As today was a mind-blowingly beautiful fall day, sunny and cool, it was a perfect day to be outside and contemplating mortality without getting totally depressed. We will definitely be back with a tour guide. - Loft Project Etagi: this is a multi-level gallery and more, currently hosting the World Press Photo contest winners. We went to see the photo exhibit, although there are 3-4 other exhibits there according to the Loft Project's web site, as well as a restaurant that's gotten some good reviews. For another day, though. The photos were generally beautiful and powerful, but as the media's love of sensationalism requires, often shocking and horrifying. The photos chronicled many human and natural disasters that I don't remember heading about when they happened, which makes the photos all the more powerful as now the events are etched in my memory.